Every year we look at a map and try to plan out where we’re going to travel. While we like to return to places for a second time, as our name repeat traveller suggests, we love venturing to new destinations that push us outside of our comfort zone – and it seems we’re not alone. Recent Booking.com findings have suggested that almost half of global travellers (45 per cent, to be precise) want to be more adventurous with their travel plans in the new year. 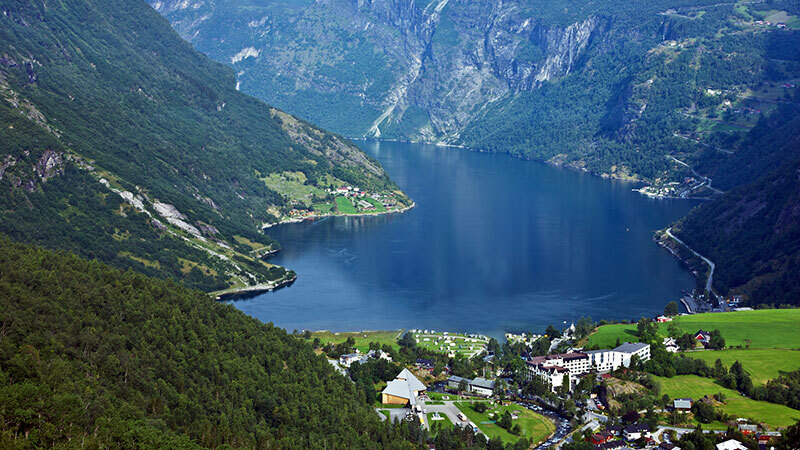 With feelings of adventure and exploration in mind, the team at Booking.com has revealed 10 destinations they think are ideal if you’re looking to visit somewhere new in 2019 – plus some recommendations of where to stay while you’re there. From Colombia’s secret paradise of Palomino to the desert wilderness of Jordan’s Wadi Rum and the ancient Silk Road in Uzbekistan, here are 10 places worth discovering in 2019. Featuring as the backdrop to many blockbuster films, Wadi Rum is everything you’d expect from the desert wilderness. 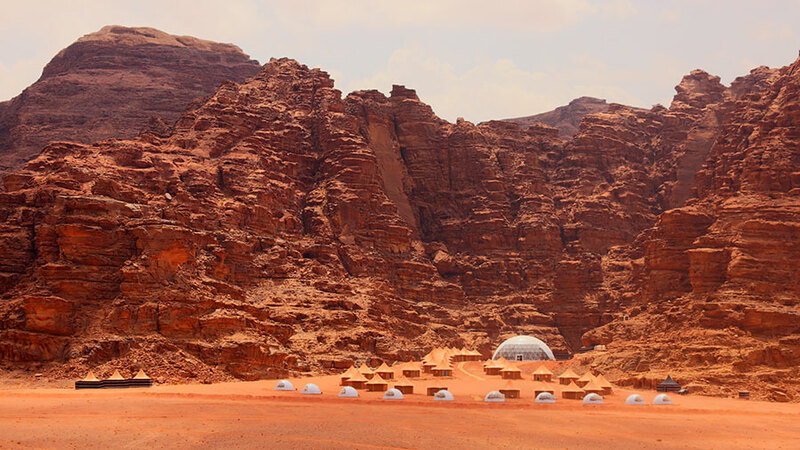 Dramatic sandstone mountains, red canyons and stunning prehistoric rocks make up the Mars-like landscape, with Wadi Rum providing a getaway that’s completely off grid and off the beaten tourist trail. Memories Aicha Luxury Camp has everything needed for the ultimate desert experience. The property’s sleek design makes it ideal for stargazing and gazing out to the mountains. 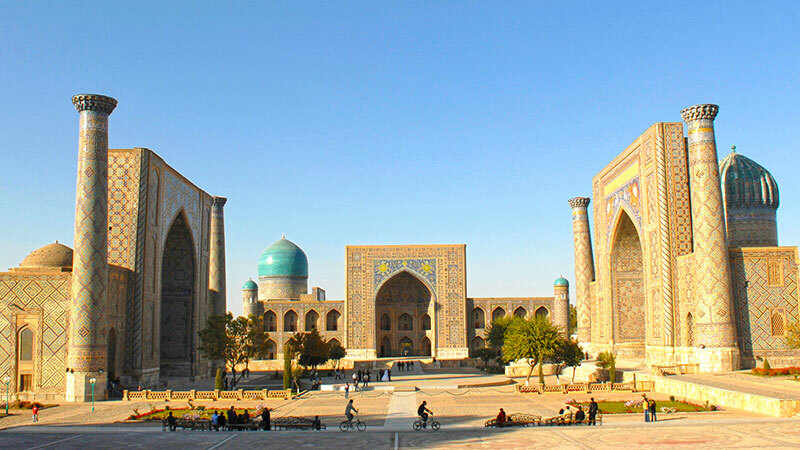 A historic stop on the ancient Silk Road, Samarkand is one of the oldest continuously inhabited cities in Central Asia – a hub of world cultures for hundreds of years. It’s full of medieval architecture and UNESCO monuments, with one of its most spectacular, Registan Square, completely covered in mosaics and adorned with gold and calligraphy. A short five minutes’ walk from the city centre, Jahongir Hotel is centrally located. The property offers traditional Uzbek cuisine and each room is decorated with stunning traditional embroidered tapestry, Suzani. Tipped to be the next Maldives, Bacalar is stunning. The Lake of the Seven Colors in particular, with its crystal-clear waters and sandy beaches, is a mecca for diving and snorkelling. Small fisherman’s houses dot the lake, so be sure to sample some of the seafood as it’s the food that Bacalar is most known for. Casa Bakal is the perfect stay for travellers to enjoy the Lake of Seven Colors. 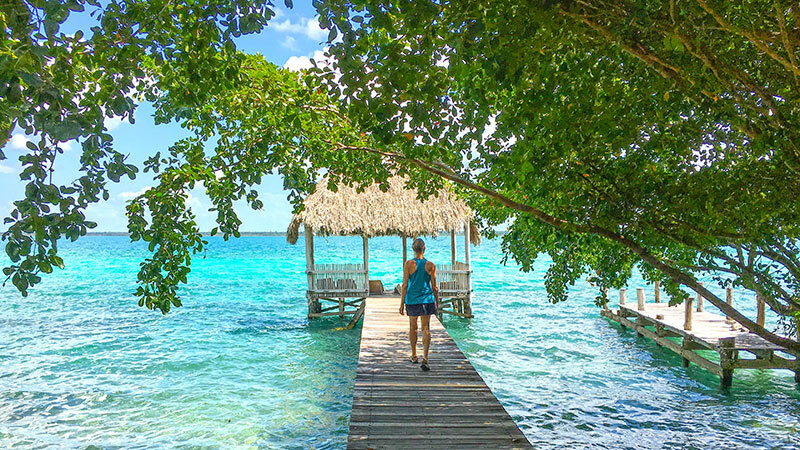 Go for a refreshing dip in the pool and take in the mesmerising view of the turquoise-hued waters and hire bicycles to explore the surrounding natural beauty of Bacalar. 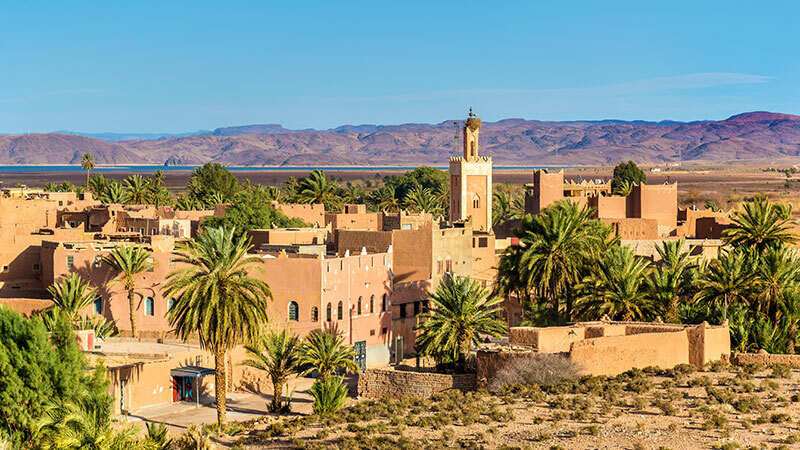 Known as the gateway to the Sahara, Ouarzazate is a city south of Morocco’s beautiful Atlas Mountains. Home to the impressive fortified village Ait Ben Haddou, it has been a popular setting for big movies and TV shows over the decades. Quad biking along the dusty roads is an excellent way to explore the region and you can even visit the local film studios. 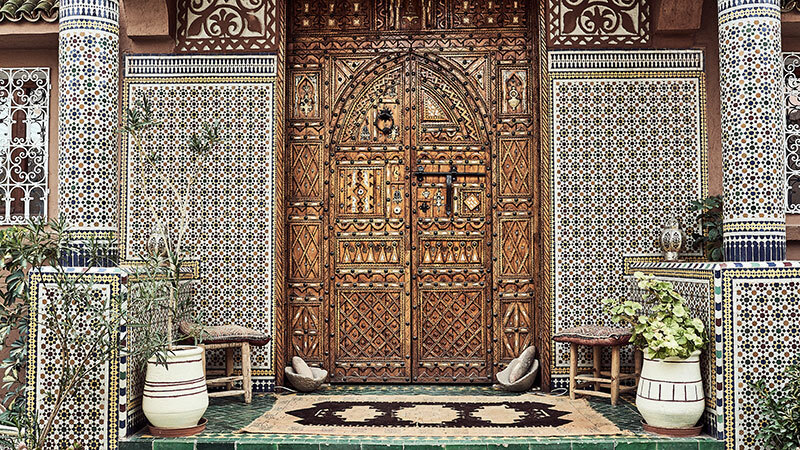 Riad Ouarzazate is a Kasbah style riad located in the centre of Ouarzazate and offering stylish rooms with traditional Moroccan décor and an outdoor terrace where guests can enjoy the traditional cuisine. In the evening, guests can relax in the lounge area. 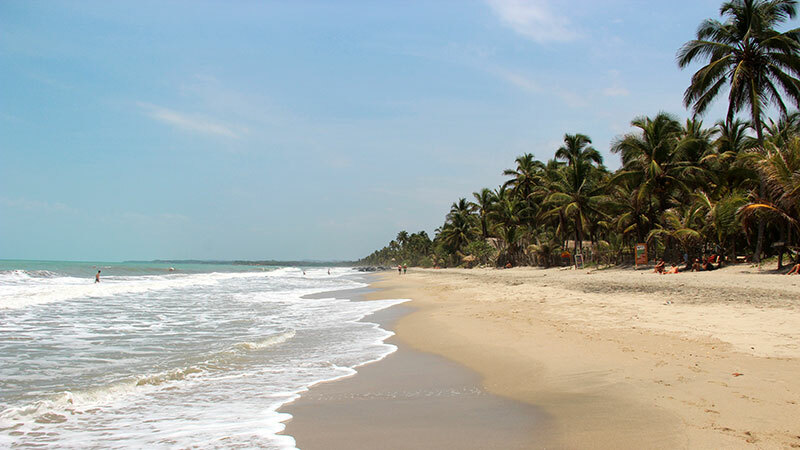 This much-loved beachside town is a must on any visit to Colombia. 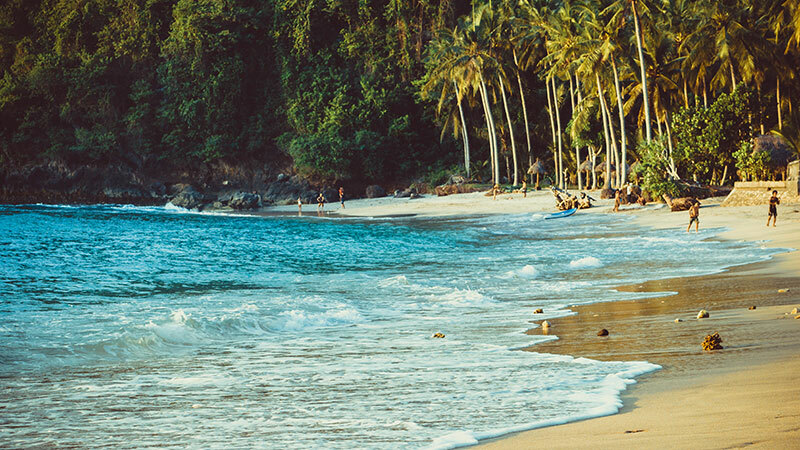 Not only does it offer beautiful Caribbean beaches but it’s also a great place for wildlife spotting (think monkeys and toucans), delicious seafood and a great range of hostels. Travellers can also try tubing on Palomino River, taking in the natural beauty as you float down to the Caribbean Sea. Palomino has some amazing hostels and Casa del Pavo Real Boutique Hostel is a great example, offering modern luxury at a backpacker price. Just five minutes from the beach, it has an outdoor pool, garden, restaurant, terrace and shared lounge. Georgia is going to be big in 2019, and Mestia is one of its must-visit destinations. Located in the country’s northwest, 1,500 metres above sea level, it’s a great starting point for trips throughout the region. 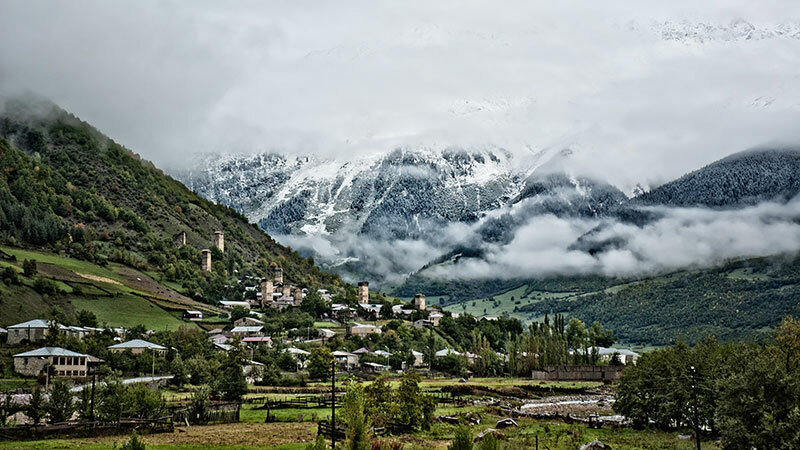 The Svaneti Museum of History and Ethnography is perfect for immersing yourself in the local culture, while active travellers will want to hike up the Chaladi Glacier in the Caucasus Mountains, or to the lakes at the base of Mount Ushba – offering breath-taking views of the lakes. Foodies will be intrigued by the local Svan cuisine – a must try is the Kubdari meat pie and Tashmijabi (cheesy mashed potatoes). Svaneti Apartment is perfectly located just over a mile from Mestia, and is ideal for snowy getaways, with ski storage space available. “The land of a Thousand Hills” has become more accessible over recent years and travellers come from all over the world to see the gorillas which live in Volcanoes National Park. 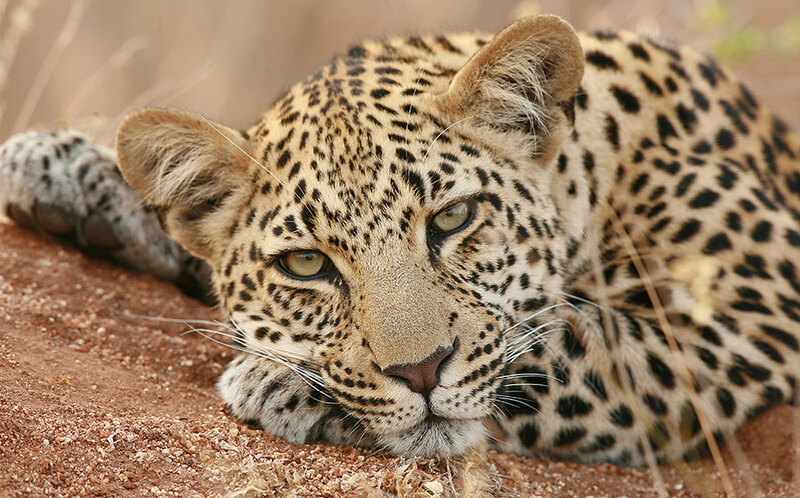 In addition to gorillas, you can also spot the Big Five (lions, rhinos, elephants, buffalos and leopards) on safari in Akagera National Park. 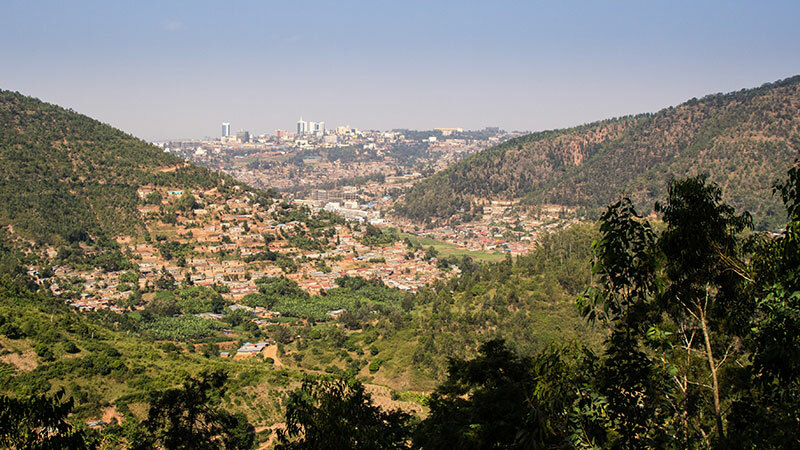 The city of Kigali itself is considered one of the safest and most alluring capitals in Africa and offers more than just a great base to the wider region; the city also boasts a booming food scene, bustling markets and fun nightlife. Pili Pili Boutique Hotel offers stylish apartments with beautiful views, an outdoor swimming pool, and in-house restaurant serving international and local cuisine. Full of laid-back Dutch charm, with museums, great shopping districts and food hotspots, Leeuwarden is was named a 2018 Capital of Culture. Easy to explore on bicycle, visitors can stop off at the Fries Museum to learn about Frisian treasures, climb Leeuwarden’s leaning tower, and sample the local spirits at the family run distillery at the Boomsma Museum. 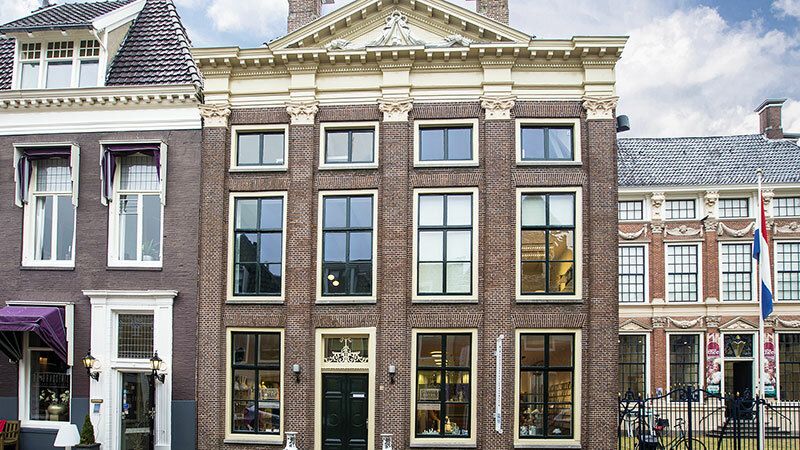 Located in the heart of Leeuwarden, City Centre De Rozenboom is a guest house housed in a monumental building from the 17th century with views on the Oldehove and the Ceramic Museum. In the surroundings, guests can explore the Prinsentuin gardens, Theatre De Harmonie as well as various shops, restaurants and bars just 100 yards away. This village in Southern Albania is a hidden gem – but not for long! 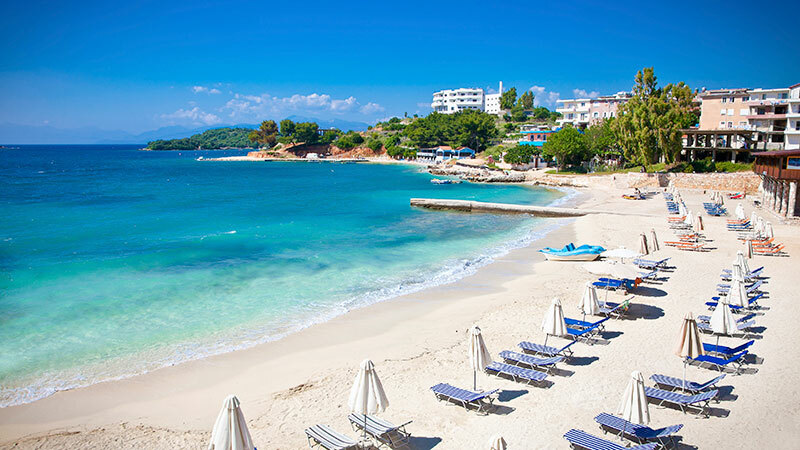 Located on the Albanian Riviera you’ll find crystal clear waters, secluded beaches and peaceful restaurants. Nearby you can visit sites including Syri I Kaltër (the Blue Eye), a lake where bubbles create colours that look like an eye, and Butrint, an ancient city and UNESCO World Heritage Site. Hotel Mira Mare is perfectly placed a minute walk from the beach, offering rooms with a terrace and sea or mountain views. With kitchenette facilities available for those looking for a little more independence on their trip, the friendly staff can also help plan excursions to nearby destinations including the popular Butrint National Park. 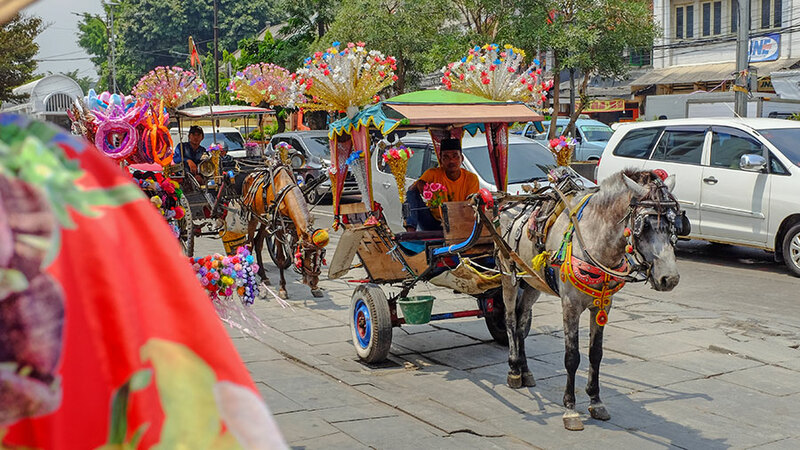 Many travellers tend to visit the Gili Islands or Bali when visiting Indonesia, but Nusa Penida is still a hidden gem waiting to be discovered. Located just off the southeast coast of Bali, Nusa Penida offers breath-taking and mostly untouched landscapes. Travellers can try their hand at scuba diving, walk along the Crystal Bay or soak in the natural wonders including the Giri Putri Cave and the natural infinity pool Angel’s Billabong. Kabeh Jati Garden Villa and Restaurant provides guests with a comfortable stay complete with an onsite restaurant serving Asian and American food. The property is perched on a mountaintop and offers amazing 360-degree views of the island.